A BoomLift mais uma vez foi premiada pelo Município de Odivelas onde está localizada no âmbito da iniciativa "Odivelas reconhece", no dia 26 de março 2019 onde o mérito e empreendedorismo dos empresários do município foi galardoada. O presidente da C.M.de odivelas, Hugo Martins, elogiou "os notáveis ? ?resultados obtidos pelo tecido empresarial" e simultaneamente lembrou "projetos e programas municipais desenvolvidos com o objetivo de captar mais investimentos e alcançar maior competitividade metropolitana, como a isenção de serve para empresas que instalam e criam novos empregos, iniciam em odivelas ou o programa "mais apoio, mais emprego". apostas ganham que contribuíram para o fortalecimento de nossos agentes econômicos e para ser hoje um Município com taxa de desemprego residual. " Durante a cerimónia, foram entregues diversos prémios de distinção de negócios, além do líder 2018 do IAPMAI para várias empresas do município. • Prémio Empreendedorismo e Inovação - Menção Honrosa – BoomLift Lda - Aluguer de Renda e Assistência Industrial, Lda. 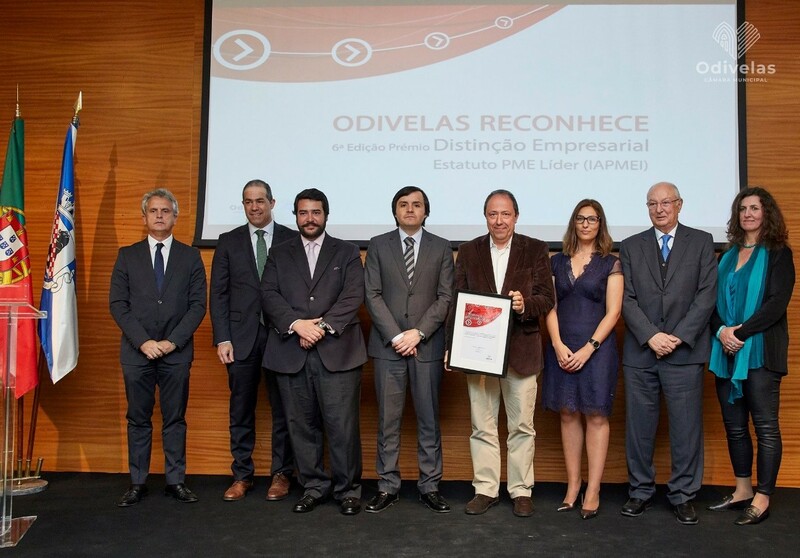 BoomLift was once again awarded by the Municipality of Odivelas where it is located under the "Odivelas recognizes" initiative, on March 26, 2019 where the merit and entrepreneurship of the entrepreneurs of the municipality was awarded. The president of Municipality of Odivelas, Hugo Martins, praised "the remarkable results obtained by the local business" and simultaneously recalled "municipal projects and programs developed with the objective of capturing more investments and achieving greater metropolitan competitiveness, as the exemption is useful for companies that install and create new jobs, start on odivelas or the program "more support, more employment." bets that have contributed to the strengthening of our economic agents and to be a municipality with a residual unemployment rate. During the ceremony, several awards were awarded for business distinction, in addition to the 2018 leader of iapmei ( Governamental Organization) for various companies in the municipality. • Entrepreneurship and Innovation Award - Honorable Mention - BoomLift Lda - Rent of Industrial Income and Assistance, Lda. The ceremony was preceded by an informal conversation - much shared by the present public - between economic development councilor mónica vilarinho and Tim Vieira, the entrepreneur born in Johannesburg, now in Portugal for her participation as an investor in the television program "SharkTank"